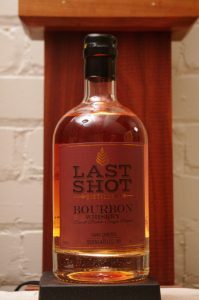 Notes: Last Shot Distillery is one of the newest distilleries in New York State ( producing, selling and aging products not just setting up as many are).Run by Chris Uyehara and a very small team, Chris is a master chef and pastry chef and brings his art and attention to detail to all his products. 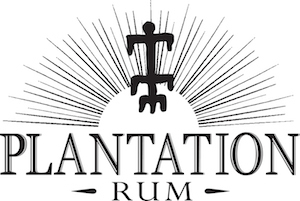 While the distillery itself is barely one year old at present, they still have a very ambitious whiskey program with stocks or Rye, Bourbon, and even Triticale. This is one of his first releases a 11 month old bourbon whiskey aged in a new char 15 gallon barrels. Subsequent releases ( now just being bottled) are coming from barrels t as twice as big at 30 gallons and aged for two to three years ( this entirely ends on how the whiskey progresses Chris is vey careful to barrel when it is at its peak and not sticking to a particular age just for bragging rights or public perception. There was an earlier release of this whiskey which was barrels in a 5 gallons whiskey barrel and its review can be found here. Made in small – about 100 gallon stills, they concentrate on small batch and quality. 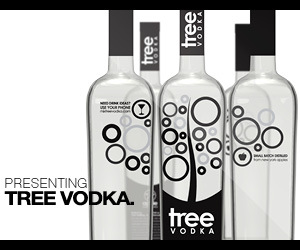 Their current line up includes a nicely flavorful vodka, a 100% corn unaged white whiskey, a dry white maple distillate, a sweet maple distillate, an unaged white whiskey called Lightning Whiskey using a bourbon mash bill and named after a famous class/type sailboat that was made on the property. The white whiskey was put in fresh new charred American oak barrels and now that stocks of this whiskey have been aged and bottled it is now a bourbon and what we are reviewing today ! Appearance: Clear, Nice gold color to the whiskey, reminds me of the highest grade of first run maple syrup the light amber grade. lightly darker than its younger sibling but not by much.On swirling it coats the glass with a medium coat and very rapidly forming legs leaving an edge line with legs and some small droplets. Taste: Lovely, somewhat delicate, an off dry with wood notes, corn at first with hints of sweetness and caramel giving way to a nice sweet/sour ideas the rye makes an appearance followed by the barley malt, leather, tobacco, vanilla, progressing to herbal dryness with a somewhat mineral stone fade with a pleasant drying and warmth. Long finish that is herbal honey with cinnamon and allspice, grain and slightly, pleasantly alkaline grain. Notes of tobacco, vanilla, leather and oak char on the somewhat longer finish. Makes for an outstanding Manhattan with the bitters and cherry making for a lovely quartet with the right vermouth. While some may find the body a bit young and a touch light around the edges, this is how a Manhattan used to be, made with a young spritely whiskey. In an Old Fashioned and a Whiskey Sour the nice aromatics blend well with the other ingredients and make for a slightly lighter but charming version of those drinks than you would find in a say 6 year old whiskey, but the freshness of the whiskey , while still having woody notes is a refreshing change. Other: Can’t wait to see how this bourbon ( and the distillery itself) mature over the next few years. While we love the whiskey as is, I think it will gain more older characteristics as it ages and give a lot of other older whiskies a run for their money. An outstanding start ! Final Thoughts: While this is not the best bourbon I have ever had, it is certainly one of the best young bourbons I have had. Whiskey put up in 15 gallon barrels is usually too wood heavy with little of the oxidation and smoothness that extended aging gives it. This on the other hand is quite remarkably good – is one of the best 115 gallon barrel whiskey I have had. A remarkable achievement and a nicely upward arc in taste and drinkability from the five gallon version.